While touring the Bhabha Atomic Research Center (BARC) on 7 September 1972 Prime Minister Indira Gandhi gave verbal authorization to the scientists there to manufacture the nuclear device they had designed and prepare it for a test . Following this okay, the practical work of engineering to implement the paper design began. Work also began on locating, surveying, and preparing a suitable test site. Throughout the development of this device, more formally dubbed the "Peaceful Nuclear Explosive" or PNE, but commonly called Smiling Buddha, very few records of any kind were kept either on the development process or the decision making involved in its development and testing. This was intentional to help preserve secrecy, but it has resulted in the events being documented almost entirely by oral reports many years later. The leader of the team developing the device was Raja Ramanna, director of BARC. Ramanna worked closely with Dr. Basanti Dulal Nag Chaudhuri of director of the Defense Research and Development Organization (DRDO) and science advisor to the minister of defense to coordinate the work of explosive system development. P.K. Iyengar, as Ramanna's second in command, played a lead role in directing the development effort; and R. Chidambaram lead the nuclear system design effort. Dr. Nagapattinam Sambasiva Venkatesan directed the DRDO Terminal Ballistics Research Laboratory (TBRL) in Chandigarh which developed and manufactured the high explosive implosion system. The implosion system was designed to compress the core to twice its normal density. The lenses that were developed used the fast-slow explosive design pioneered by the U.S. in World War II. 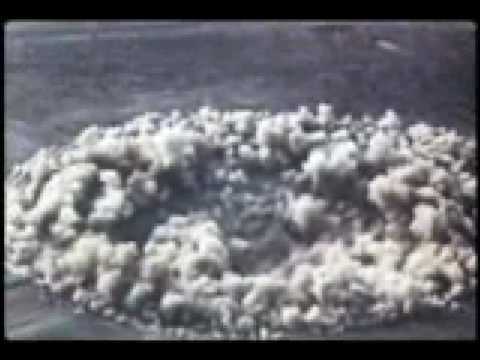 Like the Gadget exploded at Trinity in 1945, they used an RDX-TNT mixture as the fast explosive, with baratol (barium nitrate and TNT) used as the slow explosive. Chengappa descibes the inner slow explosive component as being in the shape of "Shiva ling am" -- a phallus in Hindu religious art which is squat and blunt in form. The device used 12 lens, which is described by Chengappa [pg. 182]: "the way the explosives were placed around the plutonium sphere resembled the petals of the lotus". This presumably indicates that each hemisphere of the implosion system consisted of 6 longitudinal lens segments (asymmetric diamond shaped lenses) joined together at the pole so that they formed triangular teeth at the equator which interlocked with the opposite hemisphere. This design is simpler and less sophisticated than the 32-lens "soccer ball" system developed by the U.S. during World War II. From 1971 through 1973 Venkatesan at TBRL fired over 500 lenses during development. The detonators developed for the device were lead azide spark gap detonators. These detonators are capable of the very high speed operation needed for an implosion system but are much less sophisticated that the exploding bridge wire (EBW) detonators developed by Alvarez during the Manhattan Project. Spark gap detonators are the most unsafe type of detonator, since static discharges or power surges from lightning strikes can set them off. These detonators were only used for the 1974 test, and were later replaced by safer types (presumably EBWs). In [Chengappa 2000; pg. 184] these detonators are said to have a margin of error of 7 microseconds, a figure that is so large that it is probably incorrect (a figure under 1 microsecond would more plausible). High speed gas tube switches were developed to trigger the device by the laser division of BARC. Obtaining the plutonium for the core presented a problem. In 1970 the Phoenix plutonium plant developed a serious leak and had to be shut down. Initial estimates were that the plant could be put back into operation within a year, but by late 1972 it was clear that another year or more would be required before it could again produce separated plutonium. After construction of Purnima there was little plutonium left from which to fabricate the core. So eight months after it began operation, Ramanna ordered Purnima shut down in January 1973 so that part of its fuel could be used to manufacture the nuclear device. This type of solid core device requires about 6 kg of plutonium (the Gadget and the Fat Man bomb each used 6.2 kg; but the design yield of the Indian device was smaller), and Purnima contained 18 kg. Thus in 1974 India's entire inventory of plutonium could have manufactured no more than three bombs. Instead of fabricating the core as two hemispheres as was done during the Manhattan Project, Soni and Kakodkar designed the core to be made in a number of slices (probably six) that stacked to form a sphere. To ensure a snug fit, the mating surfaces of the slices tapered off with a twist so that they would lock together securely. This design, which they first modeled this in brass, allowed them to work with smaller pieces of plutonium. The actual plutonium core was fabricated by a team led by P.R. Roy of BARC's radio-metallurgy department, who had also made the plutonium fuel rods for Purnima. The work on the neutron initiator began in mid 1972, and became one of the "critical paths" of the project, a task that prevented completion of preparations before May 1974. The team lead, V.K. Iya, recognizing the difficulties in development after his sojourn at Saclay had recommended in 1965 that development of an initiator be begun immediately. At the start of the project T.S. Murthy estimated it would take 18 months if they were given everything they needed (and estimate that turned out to be too optimistic). A principal difficulty was in learning the techniques to manufacture and handle the large amounts of polonium required (this had been a problem in the Manhattan Project as well). The initiator was christened the Flower; Chengappa explains "it is believed that the Indian team deposited the polonium on a platinum gauze in the configuration of a lotus to allow maximum surface area". Chengappa claims that the polonium-bearing gauze was enclosed in a tantalum metal sphere, which was nested in a uranium metal shell that had embedded in it beryllium pellets. The system was designed so that the implosion shock wave would drive the beryllium pellets through the tantalum shell to mix with the polonium. Perkovich states that the beryllium was designed to create shape charges, implying a beryllium shell with wedge shaped grooves (like the Manhattan Project's Urchin), or conical or polygonal pits which would form penetrating jets of beryllium when the collapsed. Perkovich gives the diameter of the Flower and 1.5 cm, Chengappa as "about 2 cm". The Flower was not ready until around 4 May 1974. To get it to Pokhran in time Iyengar and Murthy carried it aboard a regular Indian Airlines flight in a thermos bottle. A final step in nuclear design verification was taken on 19 February 1974, when a "tickling the dragon's tail" experiment was conducted. The core for the test device was assembled and mounted on a track so that two large blocks of paraffin wax, simulating the high explosive that would surround the core, could be slowly advanced while the neutron emissions from the core were monitored. After 24 hours, the experiment was successfully complete showing that the design was safe to assemble, and that the criticality formulas were correct. Also in February successful test firings of hemispherical assemblies of the implosion lens were conducted. The task of sinking the shaft for the test was assigned to the 61 Engineering Regiment stationed in Jodhpur. Ramanna first contacted the regiment commander, Lt. Col. Subherwal, in May 1973 to dig the shaft. The Army did not cooperate until June when PM Gandhi ordered Gen. Bewoor to proceed. The unit had no prior experience in digging shafts and the work got underway with difficulty. The shaft construction project was code named Operation Dry Enterprise, and the engineers and soldiers were told that they were digging a well to supply the Pokhran test range. The project was set back in January 1974 when, unfortunately they did hit water when the shaft tunneled into an aquifer that underlies Pokhran (that this seems to have been a surprise indicates an astonishing lack of preparation, since exploratory drilling would have quickly revealed this). Efforts to pump out or contain the flow of water failed and the shaft had to be abandoned. A new shaft was begun at the site of the abandoned village of Malki which was known to have dug several dry unsuccessful wells many years before. Sinking the new shaft began in February 1974 and was completed only days before the 18 May test. The fact that two shafts were constructed may account for reports that India actually made two tests in 1974, the first of which failed. Ramanna indicates in his autobiography that a round of decision making meetings occurred in 1974 prior to the test. The meetings included only Ramanna, Sethna, Nag Chaudhuri, Haksar and Dhar. The first was held probably in February when successful tests indicated the device was nearing completion. The final meeting occurred a "few weeks" prior to the 18 May test. Both Dhar and Haksar opposed the test to varying degrees, the three PNE program leaders supported it strongly. It was of course PM Gandhi's decision, and she ordered it to go ahead. The completed core (probably packed as separate pieces) was transported to Pokhran from Trombay under the direct supervision of Chidambaram and Roy. They rode in an army convoy carrying the plutonium core packed in a special case for the 900 km journey, which took three days. The explosive lenses and other components of the implosion system came from TBRL by truck along with high speed cameras to record the detonation. The device was assembled in a hut 40 m from the shaft. Assembly began on 13 May with a team made up of Soni, Kakodkar, Iyengar, Venkatesan and Balakrishnan. During the assembly process the plutonium core was mounted in a copper disk to act as a heat sink and remove the decay heat. Nonetheless due to the extreme desert heat the core components did not fit together properly, and the assembly attempt was unsuccessful. The next day attempts were started earlier in the day and succeeded, so assembly moved on the lenses. Each of 12 lenses weighed approximately 100 kg and required 4 people to lift. Once both halves of the device were complete, each with 6 lenses, the upper half was raised with a crane to put in place. While this was going on one of the lenses slipped out of its mount and fell to the ground, becoming chipped. There was one (and only one) spare lens on hand to serve as a replacement. The assembly operation was complete after nightfall. The assembled device was hexagonal, yellow, about 1.25 m in diameter and weighed 1400 kg. The device was mounted on a hexagonal metal tripod, and transported to the shaft on rails which the army kept covered with sand. The device was lowered into the shaft on the morning of 15 May. It was placed in a side cavity at the bottom of the L-shaped shaft. Moisture oozing from the shaft side gave concern about the integrity of the firing circuit, and Balakrishnan volunteered to go down the shaft to check it. Finally the shaft was sealed with sand and cement. The team retired to an observation bunker 5 km away for the test on 18 May. The entire team of senior leaders and contributors to the PNE project appear to have been present.In addition to the assembly team, also present were Ramanna, Sethna, Nag Chaudhuri, Chidambaram, Sikka, Srinivasan, Dastidar, presumably Murthy and Roy who had helped deliver the nuclear components, Gen. Bewoor, and Lt. Col. Subherwal. The test was scheduled for 8 a.m., but it was delayed for five minutes because V.S. Sethi, an engineer from TBRL, became stranded at the test site while checking the high speed cameras when his jeep wouldn't start. Sethi hiked out in time for the test to go as scheduled, but the army's efforts to recover the jeep delayed the shot. Finally at 8:05 a.m. Dastidar pushed the firing button. Aside from the PNE development team members actually at Pokhran, the only other Indians who knew of the test in advance for sure were PM Gandhi and her close advisers Haksar and Dhar. There is disagreement about when the Defense Minister Jagjivan Ram was notified. According to Perkovich [Perkovich 1999; pg. 174] Ram learned of the test on 8 May (but was not consulted for his opinion). Chengappa [Chengappa 2000; pg. 12] asserts that he only learned of the test after the shot. Perkovich also says that the Minister of External Affairs Swaran Singh was given 48 hour advance notice. Efforts to notify the Prime Minister about the success of the test met with some difficulty. Sethna tried to contact P.N. Dhar in the the Prime Minister's Office by prearrangement through a field telephone that had been set up at the bunker, but when he finally succeeded in making a connection (after several attempts) the line went dead before he could pass on the information. Subherwal drove Setha to Pokhran village to make another call, but Sethna had forgotten Dhar's number. Subherwal finally established contact through the telephone operator (after encountering considerable resistance in putting the call through) so that the message could be delivered. However Dhar had already been successfully informed by Gen. Bewoor ten minutes earlier, also by a call placed at Pokhran village. The yield of the PNE has also remained controversial. Although occasional press reports have given ranges all the way up to 20 kt, and as low as 2 kt, the official yield was set early on at 12 kt (post Operation Shakti claims have raised it to 13 kt). Outside seismic data, and analysis of the crater features indicates a lower figure. Analysts usually estimate the yield at 4 to 6 kt using conventional seismic magnitude-to-yield conversion formulas. In recent years both Homi Sethna and P.K. Iyengar have conceded that the official yield is an exaggeration. Iyengar has variously stated that the yield was actually 8-10 kt, that the device was designed to yield 10 kt, and that the yield was 8 kt 'exactly as predicted'. Careful analysis of hard rock cratering effects establishes a tight bound around 8 kt for the yield however. For a detailed discussion of this issue see What Are the Real Test Yields?. In the wake of the test, the scientists that had produced it became national heroes. In 1975 Setha, Ramanna, and Nag Chaudhuri received the Padma Vibhushan -- India's second highest civilian award. Iyengar, Chidambaram, Venkatesan, Dastidar, and Seshadri received the third highest award, the Padma Shri. The test caused an immediate revival in Gandhi's popularity, which had flagged considerably from its high after the 1971 war. 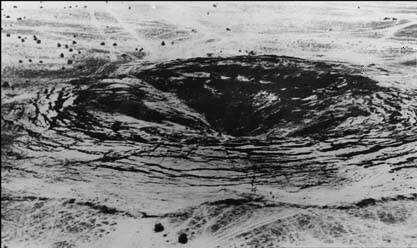 The Smiling Buddha was the first nuclear test explosion by India on 18 May 1974 at Pokhran. It was also the first confirmed nuclear test by a nation outside the five permanent members of the United Nations Security Council having been developed and executed with no foreign help or assistance. Smiling Buddha was a crude nuclear device with a yield of not more than 8Kt. On 7 September 1972, Prime Minister Indira Gandhi gave verbal authorization to the scientists at the Bhabha Atomic Research Centre (BARC) to manufacture the nuclear device they had designed and prepare it for a test. Throughout its development, the device was formally called the "Peaceful Nuclear Explosive", but it was usually referred to as the Smiling Buddha. The head of the development team was Dr. Raja Ramanna. Other key personnel included Dr. P.K. Iyengar, Dr. Rajagopala Chidambaram,Dr. Nagapattinam Sambasiva Venkatesan and Dr. Waman Dattatreya Patwardhan under the supervision of Dr. Homi N. Sethna. The project employed no more than 75 scientists and engineers from 1967-1974. Keeping it small served to aid in the preservation of secrecy, according to the researcher Jeffrey Richelson. The device used a high explosive implosion system developed at the DRDO Terminal Ballistics Research Laboratory (TBRL) in Chandigarh based on the American design from World War II.The detonation system of the implosion devices was developed at the High Energy Materials Research Laboratory (HEMRL) of DRDO at Pune. The 6 kg of plutonium came from the CIRUS reactor at BARC. The neutron initiator was a polonium-beryllium type (again like those used in early U.S. bombs of the Fat Man type) code-named "Flower." The complete core was assembled in Trombay before transportation to the test site. The fully assembled device had a hexagonal cross section, 1.25 m in diameter and weighed 1400 kg. The device was detonated at 8.05 a.m. in a shaft 107 m under the army Pokhran test range in the Thar Desert (or Great Indian Desert), Rajasthan. Coordinates of the crater are 27.095; 71.753. Officially the yield was reported at 12 kt, though outside estimates of the yield vary from 2 kt to 20 kt. Annotated bibliography on the Indian nuclear weapons program from the Alsos Digital Library for Nuclear Issues.